You're all set! Confirm you want deals for family meeting dental group in -zip-? The professionals at Family Meeting Dental Group in Los Angeles, California are dedicated to the highest quality of patient service. 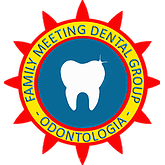 The professionals at Family Meeting Dental Group in Los Angeles, California are dedicated to the highest quality of patient service. Your satisfaction is our first priority and we strive to meet the unique needs of every patient. Our Goal is to provide every patient with the best dental care available through excellence of service, modern technology, and an honest dedication to your dental health. We are committed to our profession and actively participate in continuing education in the areas of clinical advancements, inter-personal communications, and technology. We want to provide the most comfortable dental care that looks great and lasts for years to come. Emergency appointments for any family member or new patients are always welcome in our Los Angeles dental office. We pride ourselves on being able to successfully treat anxious and hard to manage dental patients utilizing advanced and proven techniques.